Heavyweight prospect Pezhman Seifkhani (10-0) won the vacant RBO title last night at Tegelbruket in Orebro, Sweden, in the headliner of Fight Life Promotion´s show. Seifkhani stopped Brazilian Rufino Angulo (6-1-1) at 1.25 of the third in a scheduled eight-rounder. Rufino put pressure on the Swede in the first two but Seifkhani picked him off with jabs and hooks and in the third he broke through and hurt the Brazilian with a left hook-right hand combination. 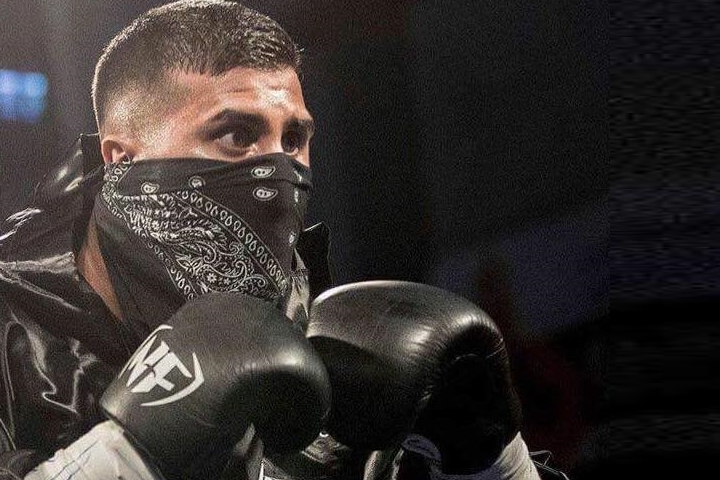 Angulo refused to go down and Seifkhani poured it on for real and finally Angulo went over but jumped up at once to show he wasn´t hurt - but he was. As the fight resumed Pezhman followed up and Rufino was out on his feet and referee Mikael Hook jumped in to stop it. As he did Angulo began to fall and as he did he grabbed Hook with him. However, both was up quickly and recovered well. RBO? Royal Boxing Organisation - a small title but Pezhman Seifkhani has developed well and is worth keeping an eye on. He is trained by ex-pros Kamran Kabinjead, the show´s promoter, and Tonton Semakala. In the chief support Croatian light-heavy Marko Calic (9-0) knocked out Clebson Tubarao (3-1-1) at 2.15 of the second of a scheduled six-rounder. Calic put on a boxing clinic, didn´t miss a punch, didn´t waste a move as he picked apart Tubarao and finally took him out. Calic is ready for bigger fights. In the first ever Swedish title fight at cruiser Sami Jangirov (4-1-1) outscored Marcus Alberts (6-6) in a hardfought, close six-rounder that went back and forth with both at one time or another staggered. Alberts failed to use his better reach and the stocky Jangirov scored with solid left hooks. It was a war at times with the two slugging it out toe to toe but Jangirov had the better punches and won on scores of 58-56 twice and 59-56. Italian super welter Denis Nurja (4-0) won over the Afghan Lion, Israrullah Yaqobzai (5-1) in a four rounder. Yaqobzai was hurt early and was down and never seemed to recover or get into the fight as Nurja, a big man for his weight division, landed almost at will. The Lion fought on and had his best round in the last but Nurja won clearly on scores of 39-36 twice and 40-35. Greek super welter Panagiotis Matsagkos (4-1) stopped Yaffet Amaniel (3-2) at 2.12 of the third and Emil Pettersson (2-0) outscored Slovakian Henrick Herak (2-5) over four, also at superwelter. Female welter Patricia Berghult (12-0) outscored Georgian Mari Tatunashvili (4-9-2) over six. Danish promoter, agent and manager Peder Forsman has announced through social media that he is out of the boxing business, Forsman´s announcement came after Ekstrabladet broke the news of his past where he in 2005 was sentenced to seven years in prison after a series of rapes in what at the time was headline news in Denmark. WOW! This could lead to some massive unification title fights. Do the IBA, IBC, WBF & WBU still exist?